You manage a repair shop? Or send us your custom logo! 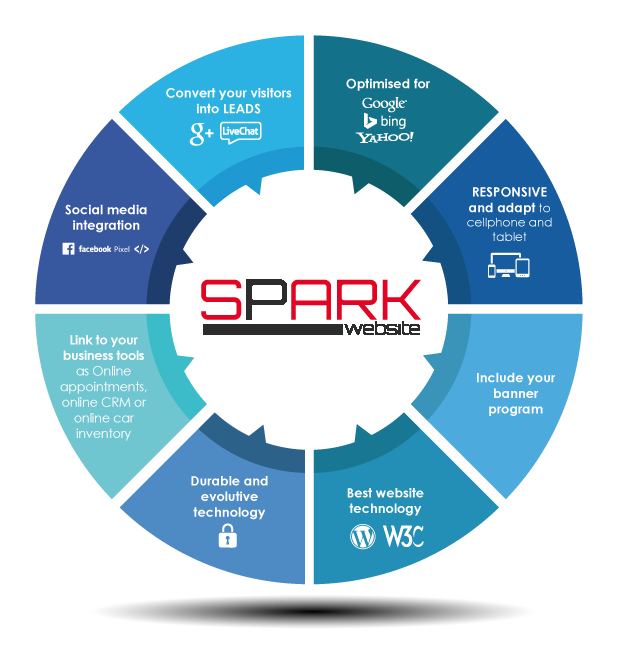 The SPARK website is a business development tool for garages and car workshops. 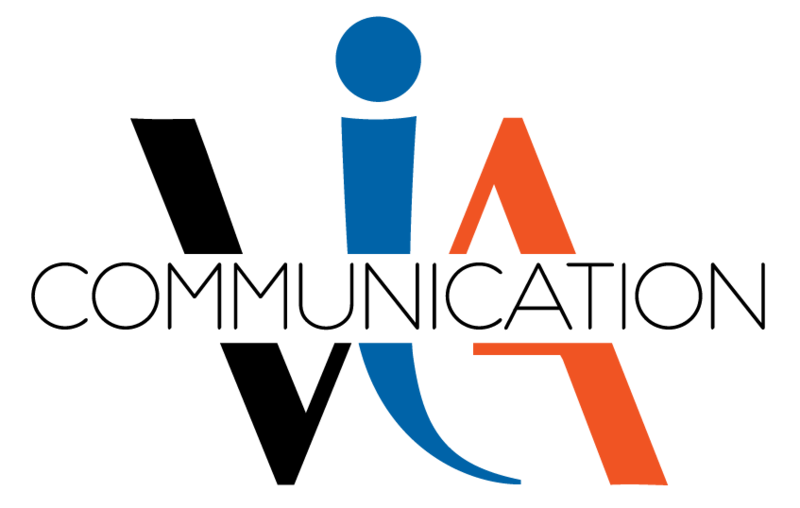 Our team is specialized in automotive web since 2008. 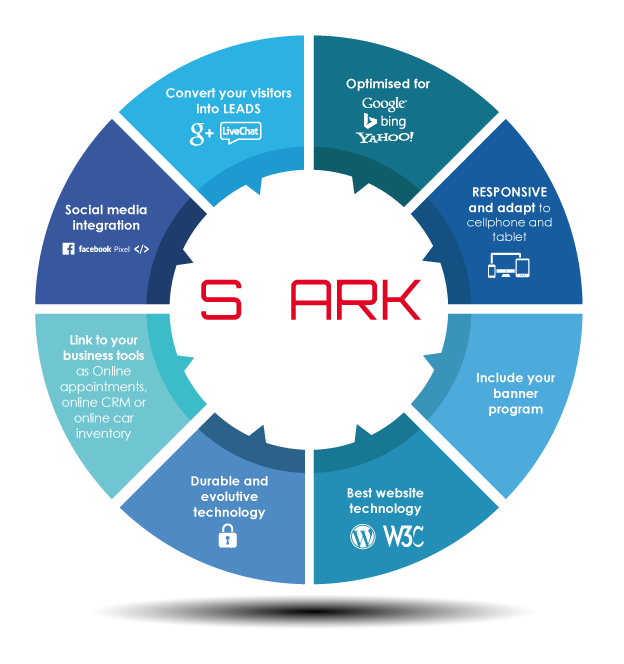 We are also experienced in creating and maintaining a website for mechanic garage and tires. 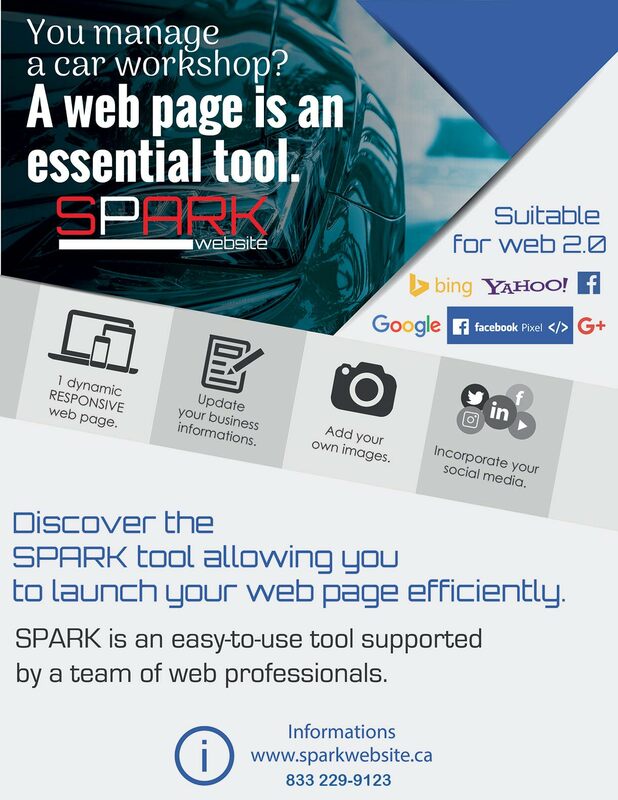 The SPARK web page for garages and car workshops has been developed in Canada. It will allow a garage owner to have his website, and that quickly, while making a good economy. So trust our experienced team in automotive web !